Uttarakhand PSC Recruitment 2018: The Uttarakhand Public Service Commission has been announced a notification for Lecturer posts. 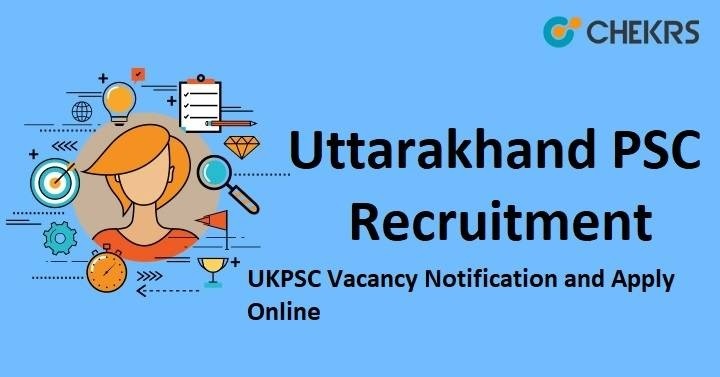 The UKPSC Department will be filled up 917 Posts through Uttarakhand PSC Recruitment 2018 Notification. The UKPSC Department will be organized UKPSC Lecturer Exam in the upcoming month. The candidate can apply for an application form on or before the Last Date (25th September 2018). It’s a great opportunity for the candidates who are looking a Government Vacancy in Uttarakhand state. The candidate wants to apply for UKPSC Lecturer Vacancy Application Form, they can read this article for UKPSC Recruitment information like Name of Posts, Number of Vacancies, a step of applying for an application form, starting and ending date of the application form, official website link. Firstly the candidates go to the official website of UKPSC i.e. ukpsc.gov.in. Click on the Exams/ Recruitment Button. Again Click on उत्तराखण्ड विशेष अधीनस्थ शिक्षा (प्रवक्ता संवर्ग-समूह ‘ग’) सेवा (सामान्य एवं महिला शाखा) परीक्षा-2018 Link. Before application process, the candidate must read job notification carefully. Now the candidate clicks on “One time registration”. New the candidate complete your registration process. Now already a Registered candidate enter your registration number, Password. Remarks: For more information, we can update soon about Uttarakhand PSC Recruitment 2018 and we are providing the latest update related to upcoming Recruitment on our website that is www.jobs.chekrs.com. If you have any query about UKPSC Recruitment that you can write comments on commenting box and take a review or feedback.